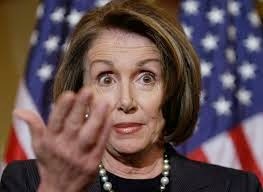 I would like to say Nancy Pelosi is delusional when she claims democrats will sweep the House and presidency in 2016, but with the current GOP leadership more interested in fighting their base than democrats, anything is possible. WASHINGTON (CNN) — About a month from the 2014 midterm elections House Democratic Minority Leader Nancy Pelosi was already predicting a sweep for her party in the 2016 election. Pelosi has publicly urged former Secretary of State Hillary Clinton to run for president and said if Clinton does decide to run she would win.